Even the IMF has come out now to warn that Greece may need a complete debt write-off. This is sending an economic earthquake through Europe, for it undermines the political position of Merkel entirely. There is no doubt about this: Greece cannot pay and cannot raise taxes while simultaneously having any viable economy. This is the collapse of Socialism. 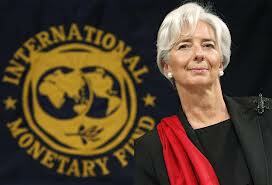 So why has the IMF turned around? If Greece’s debt is not forgiven, the harsh economic conditions being imposed will merely send Greece into the waiting arms of Russia. This is now becoming political with the IMF agreeing with the Obama position. « Goldman Sachs to Be Sued for Hiding Greek Losses to Get in Euro?